Freddy Sudhoff has topped the first round of controlled practice at the Euro Touring Series in Daun, Germany. After an almost 4-month break in ETS action, Sudhoff opened the second round of the championship by taking his Awesomatix to the fastest 3-consecutive laps ahead of reigning champion Bruno Coelho. Behind, Marc Rheinard almost matched Coelho on pace, his arch rival quicker by just 2/1000ths of a second. It was a strong start to the weekend for Xray with Alexander Hagberg and Elliot Harper making it three of their cars in the Top 5. 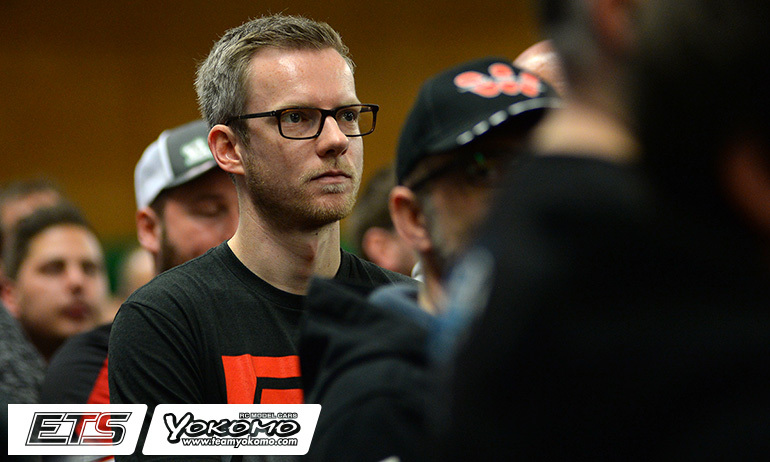 Completing the Top 6 would be Yokomo’s Christopher Krapp with team-mate and winner of the season opener Ronald Volker 8th behind Infinity new recruit Viktor Wilck.